Robert Geoffrey Edwards, or 'Bob' as his colleagues and friends knew him, is one of the true giants of the 20th century. A modest, affable, argumentative and generous Yorkshireman, the farsightedness, energy, determination and rigour he brought to the study of human reproduction led to the most significant advance in the history of infertility treatment, for which he received the Nobel Prize in Physiology or Medicine in 2010. As well as being an experimentalist and keeping abreast of the scientific literature in such diverse fields as immunology, embryology, genetics and endocrinology, he was also a prolific writer and a pioneering promoter of the public awareness of science and of its role in overcoming infertility and genetic disease, both sources of much human anguish. 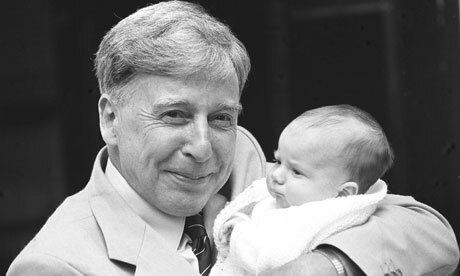 Early and continuing ethical challenges to his work also prompted Bob to think and publish widely about reproductive bioethics – a subject of which he is truly a father figure. Bob also drove the foundation of the European Society of Human Reproduction and Embryology and its journals, which he edited for many years, and in 2000 he set up a new e-journal, Reproductive BioMedicine Online, with emphasis on rapid publication and the airing of controversies. His almost inexhaustible energy, combined with a passionate belief in humanity, socialism, and the common sense of people, meant he also found time to engage in local politics. Indeed, I am sure that it is a source of gentle pleasure for him that he outlived Margaret Thatcher – born in the same year as him – by 48 hours! Bob was born in 1925 into a working class home in the Yorkshire mill town of Batley. His father laboured on the Settle to Carlisle railway, while his mother was a machinist in a local mill. He was one of three bright boys, who, on relocation of the family to Manchester from where his mother originated, all obtained scholarships to attend the Central Boys' High School. On leaving school in 1943, Bob's education was interrupted by conscription into the war army – mostly served in Palestine – so after being de-mobbed in 1948, Bob was already a mature student when he read Agricultural Science at the University College of North Wales at Bangor. Disillusioned with the course, which he found was devoid of scientific rigour, he switched to Zoology after two years, but was devastated to obtain only a pass degree. This scarring experience might have blighted his academic prospects were it not for his passion and energy, which were wisely recognised by Professor Conrad Waddington, who accepted him for a diploma and then a PhD in genetics at Edinburgh University during the 1950s. Initially, Bob focussed on the possibility that birth defects might arise through errors in chromosomal segregation duringegg maturation or fertilisation, and he worked with Ruth Fowler (whom he later married) to demonstrate that eggs could be induced to mature chromosomally according to a predictable schedule by hormone treatment. After spells working on contraceptive development at the California Institute of Technology and the National Institute for Medical Research at Mill Hill, Bob accepted a fellowship at the University of Cambridge in 1963, where he has lived and worked since. It was during his early days in Cambridge that human egg maturation and its anomalies, and achieving human fertilisation in vitro, came to dominate his interests. He published a remarkable paper in the Lancet in 1965 that laid out the course of IVF studies for the next 20-30 years. Three years later, he provided proof of principle for preimplantation genetic diagnosis in an animal model, an approach that was not applied to early human embryos until more than two decades later. Like Bob's earlier isolation of stem cells from early rabbit embryos, this work again testifies to the farsightedness that pervades his work. In 1968, he forged a key partnership with Oldham gynaecologist and pioneer of keyhole surgery, Patrick Steptoe, and together these two pioneers, with Jean Purdy (their nurse-technician) and their patients proceeded to achieve IVF, resulting in the birth of Louise Joy Brown on 25 July 1978. They faced obstacles that would have deterred a less determined pair, for, not only was the work demanding clinically and scientifically, but they were given no financial support from UK funding bodies, and were regularly attacked not just by religious leaders and the press but also by most of their scientific and clinical colleagues. I well remember as a graduate student being ostracised at meetings and in the departmental tearoom for my association with Bob! Louise Brown's arrival marked the beginning of a positive change, albeit a slow one, in attitude to Bob and Patrick's work. Nowadays, IVF and related forms of assisted conception in vitro, are so commonplace as to hardly raise comment in most quarters. At last, Bob's genius was finally recognised internationally in 2010 by the award of the Nobel Prize in Physiology or Medicine. This prize is most commonly shared and is not infrequently contentious. Neither of these qualifications applied to Bob's award, by which time well over four and a half million babies had been born as a result of his pioneering work. The only sad note is that this ultimate recognition of the value of his work was not made earlier when Patrick was alive to share it and Bob was in good enough health to collect it personally in Stockholm. "I feel..., when you..., because..., and I would like for you..."